Besides having an important and strategic influence 900 + years ago with William the Conqueror, it was strategic also in WWII,and extremely fortunate to have missed the bombings that were to the North East of this tiny harbour. 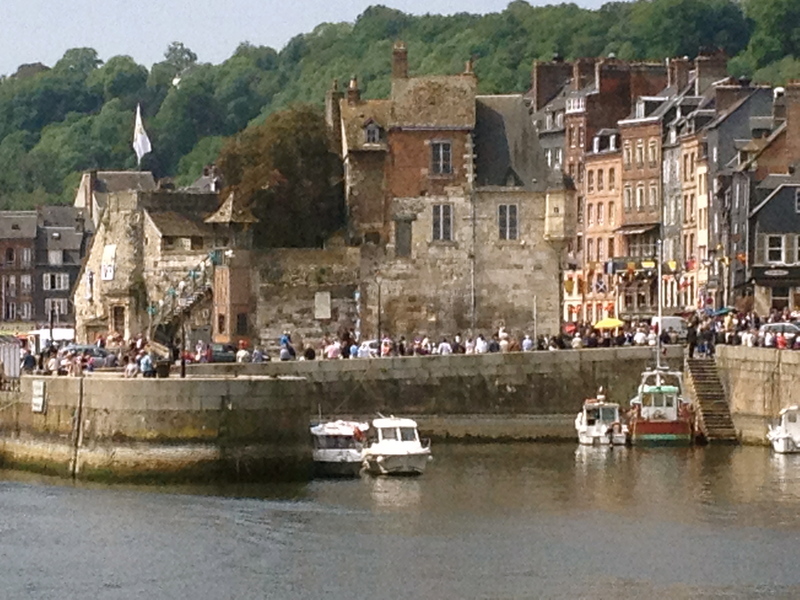 Honfleur, is just so beautiful and picturesque I could hardly take it all in. We took a short vacance here end of May, when it’s a celebratory feast of sorts – or Benediction of the Ships – which come from ALL OVER to be blessed. If this had anything to do with the seafood being so incredibly fresh and good, I wouldn’t be surprised either. But first a word about this special holiday ……. This weekend was Pentecost, from the Ancient Greek pentếkosta, meaning fiftieth. 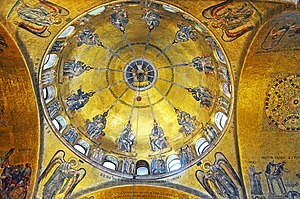 It is the Christian holiday celebrating the Holy Spirit descending on the Apostles fifty days after Easter. It is a HUGE weekend in France, especially since Pentecost Monday was a public holiday in France until 2005. Then something happened; about 15,000 elderly people died in a heat wave in the summer of 2003. The French government made a committment to financially support the elderly and people with disabilities by deciding that Pentecost Monday would no longer be a public holiday and people would work this day without pay. The public holiday was replaced with the Day of Solidarity. On this day people worked for no pay. Their wages were collected to assist the elderly and persons with disabilities. However, the French in notorious fashion, took to the streets and Pentecost Monday became a public holiday again in 2008. The French government introduced other fiscal measures to raise money to support the elderly and persons with disabilities. Really enjoyed our country walks. Hard to believe we were there in time to see the parade of model ships on the way to the old church. Can’t wait to go back! Sometimes, I feel like I work everyday with no pay! What an experience. Cannot wait to read about the rest of your trip.